Hi! 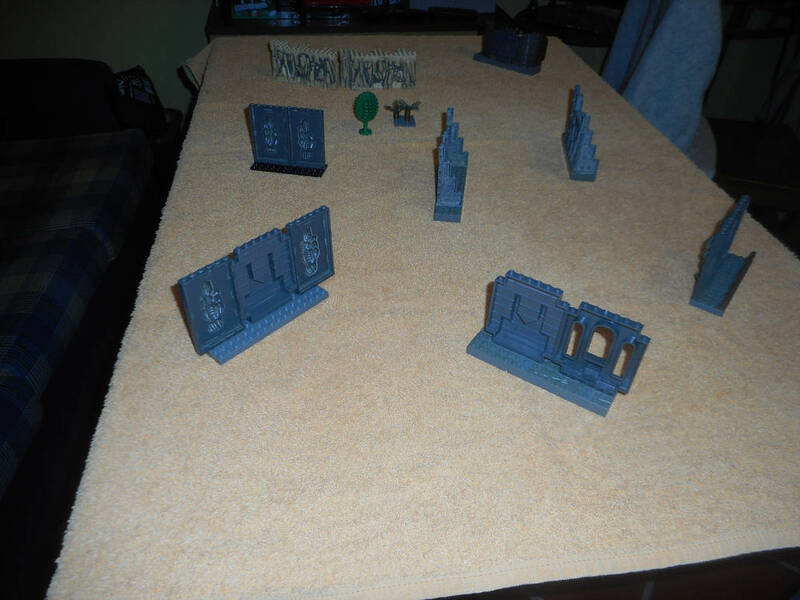 This will be my first battle report on the hangar! Hope you find it entertaining. This week I had a friend who's living on the US here on vacation. 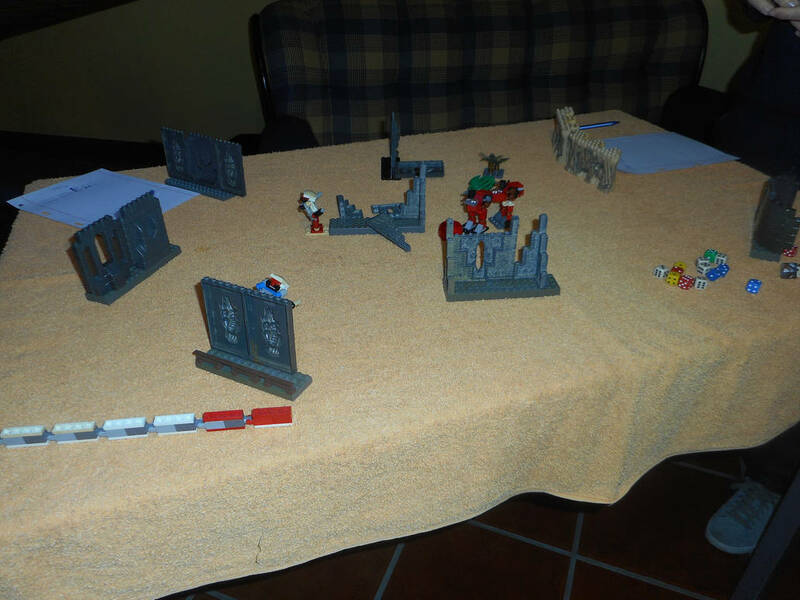 Because we have so few opportunities to try new games together, i invited him and another friend over to my house to try out MFZ. 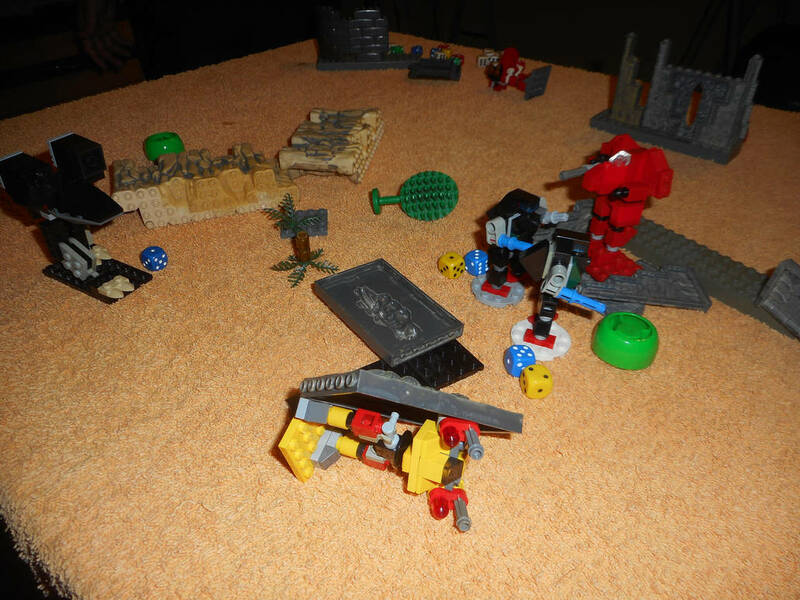 For this I used my BattleTech-inspired set. Also because I forgot to bring over some stations we used colored smoothie caps. I started by providing the setting. 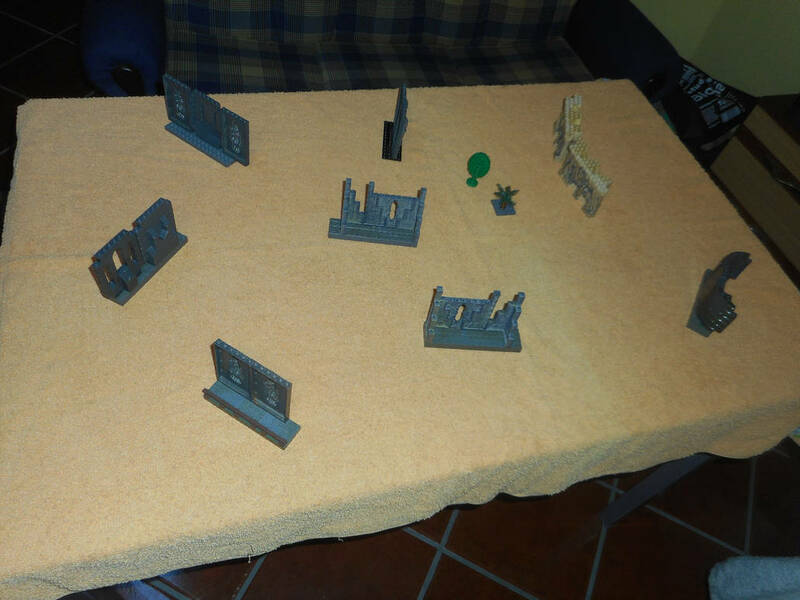 I used a large towel to simulate grass and set a few ruins, trees and hillsides to make an ancient abandoned town in the middle of a savanna. I actually like how it turned out. 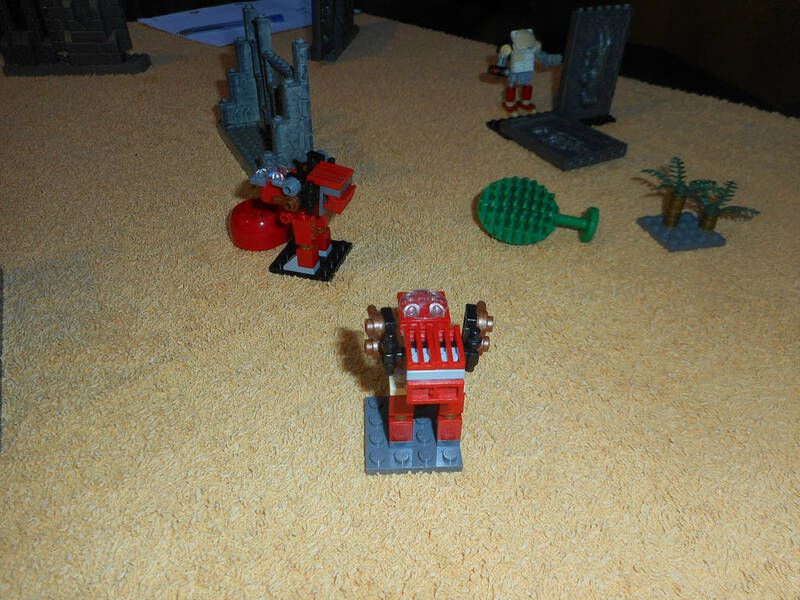 For the first game I decided to explain in simple terms the game and then give each of my players a couple of mechs with only two systems each. 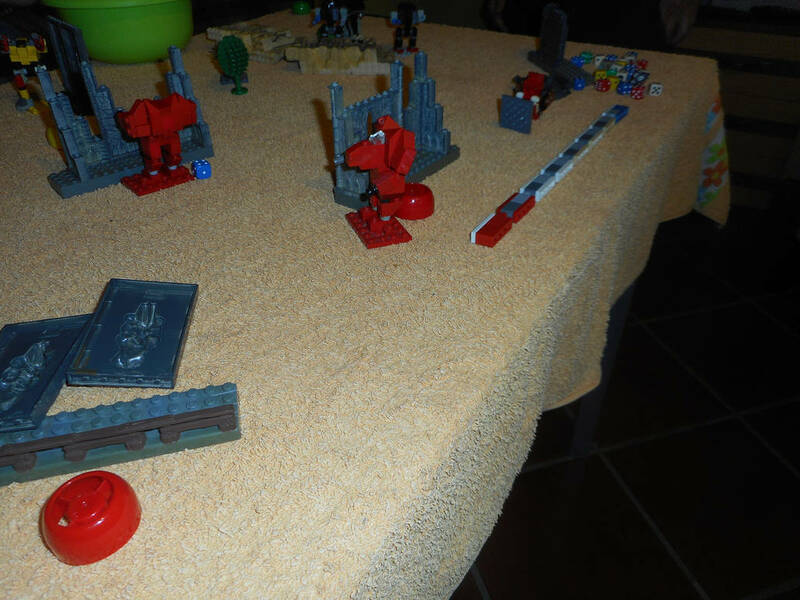 They would fight for a single station and the rest of the rules would be explained as they played. This was the initial deployment. 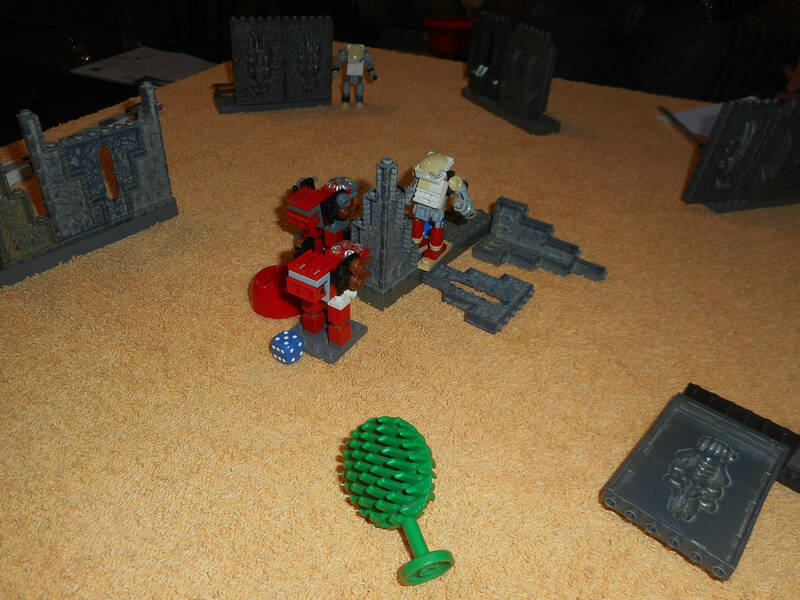 The white (Lyran) team had a couple Commandos ( ) and the red (Draconis) team had a pair of Jenners ( ). 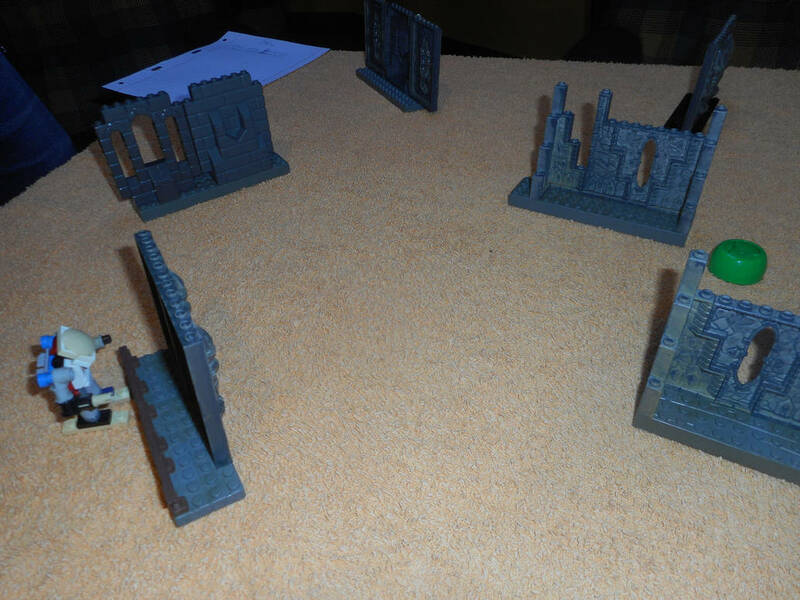 Because these models were made to last they wouldn't be broken apart during the game, but instead we would note the damage on sheets of paper. I know this is kind of a cop-out, but they are really hard to come apart, one the Jenners fell on the ground and it only broke in two. As the game started, we rolled to find the initiative, and the white team got to act as if it got the higher score. Tentatively, that player tried to move forward to claim the yet non-taken station. The red player reacted by surging forward. 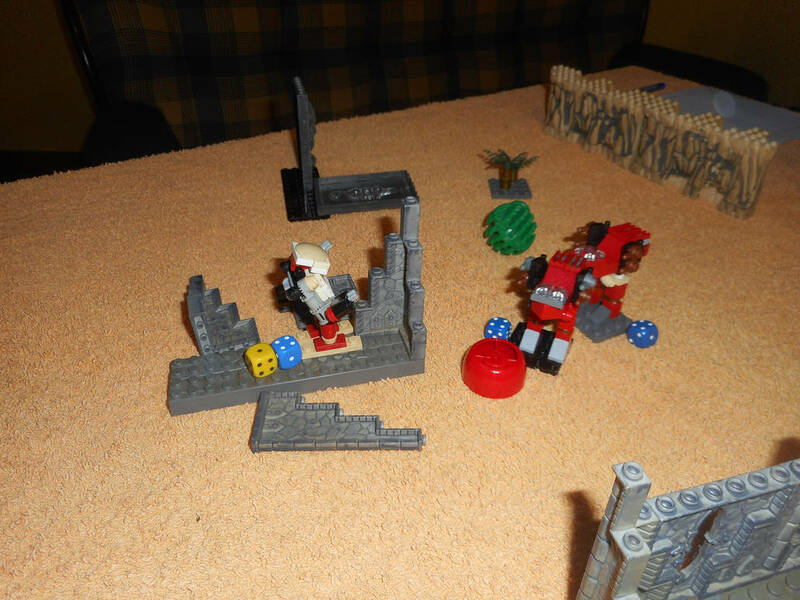 There were no shots in the first turn, but things were bound to heat up in the next one as the white player decided to remain defensive, while the red player kept pushing forward. 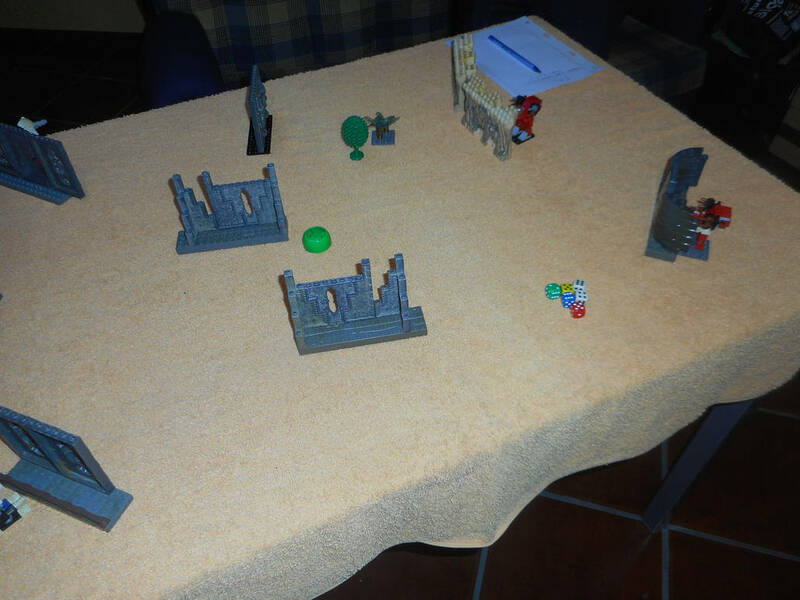 As we reach the third turn or so, the shots fired started to become more effective and the scenario started to collapse. At this point the white player decided to be more effective as they were both realizing the impact of taking a station had on the game. By the start of turn four both players had already lost systems. 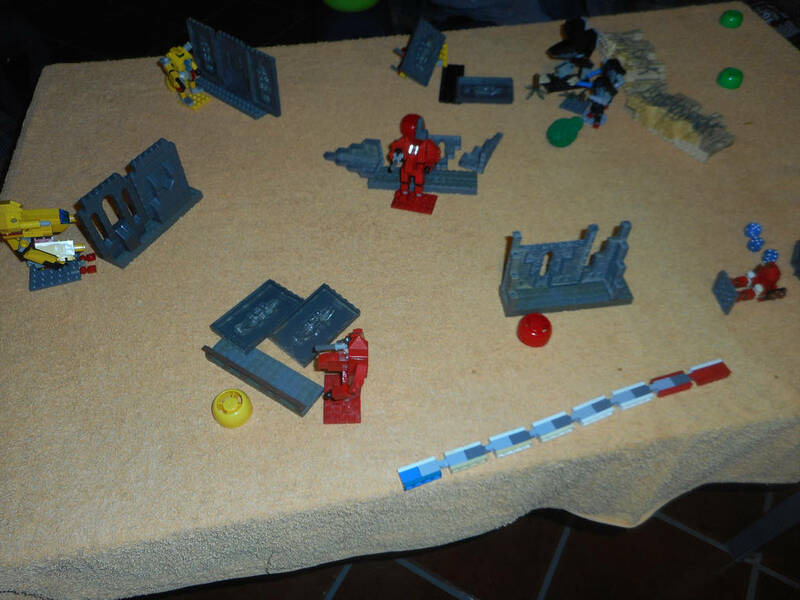 The red player hunkered down on the station, whilst the white one kept pushing forward with the damaged commando. However he insisted in keeping the second unit on reserve, assuming he could sent it in once the other one collapsed. This overcautious approach favored the Jenners. 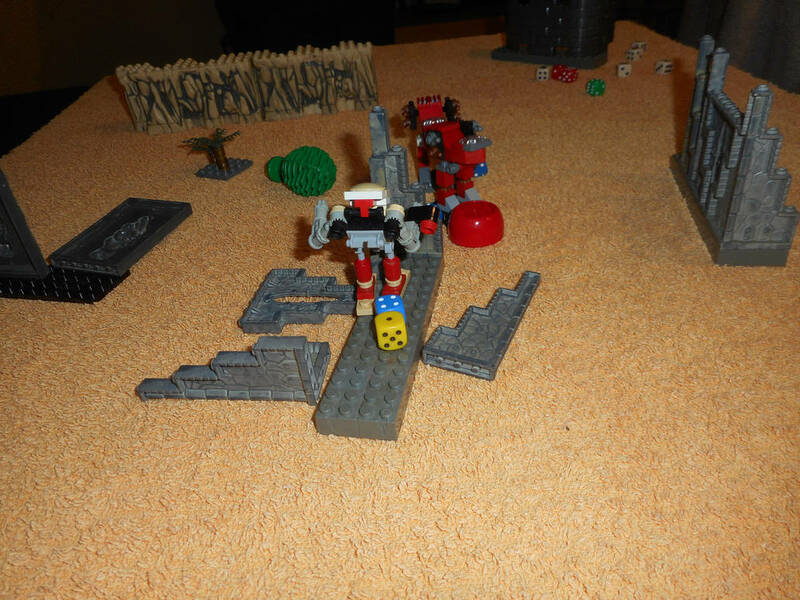 Thus, at the third turn he brought the second Commando in once he realized the error. On turn four the Jenners scattered, fearing the combined firepower of both Commandos would overpower them. The player had assumed the station wouldn't be easily taken, but he was shown his error, and started to plan the retaking of the station on the next opportunity. 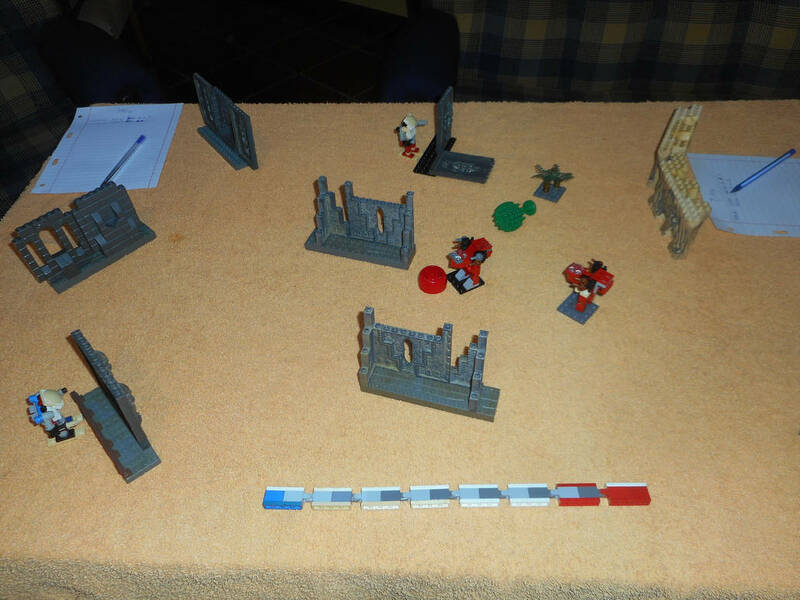 Because both players had decided to bring down the Clock on all turns, by this point the red team had little chance of winning, but the player still attempted to move forth and at least do some damage. Nevertheless, the white player reacted by attempting some hand-to-hand attacks, claiming one Jenner. At the end, the white team won the test game, and both players were quite excited to try using a large team and more advanced units. So we built back the walls and went back to chose our teams, and this time I would play too. On the next post I will show how that game went. Last edited by Francisco Duarte on Tue Jan 15, 2019 5:37 pm, edited 1 time in total. On to the second game. 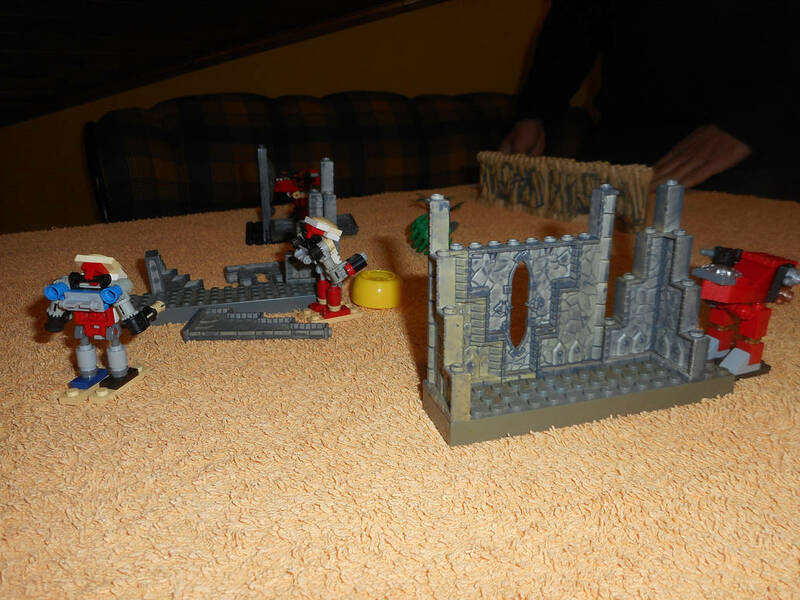 This time the three of us played, each choosing three mechs from the team of their choosing. 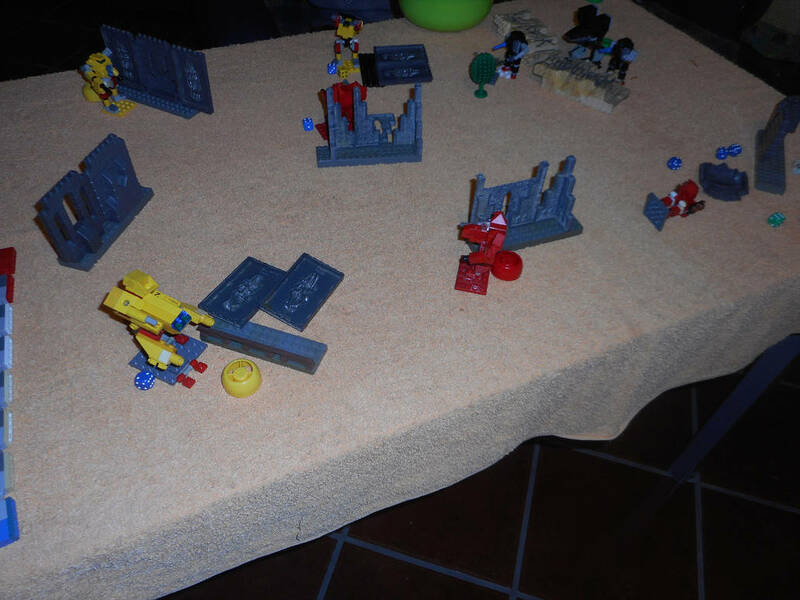 The white player from the previous game went for the yellow (Davion) team, and the read for the black (Capellan) team. I myself decided to use the red (Kurita) team. 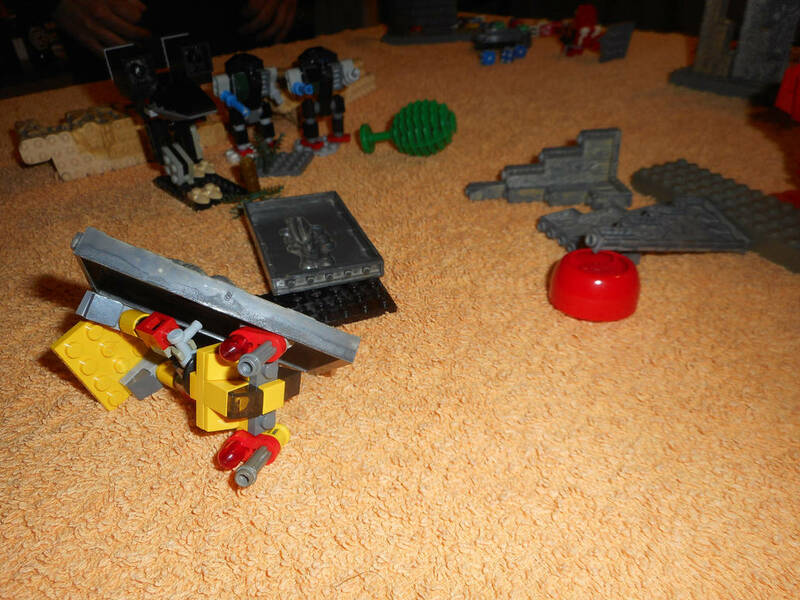 Yellow went for a Blackjack ( ), a Centurion ( ) and a Marauder ( ). 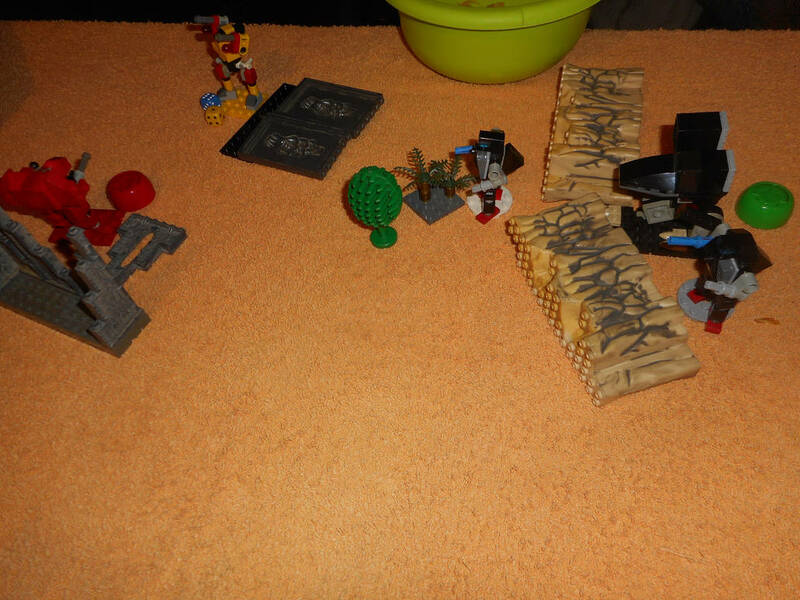 Black used two Vindicators ( ) and a Catapult ( ). I brought back one of the Jenners and two Dragons ( ). 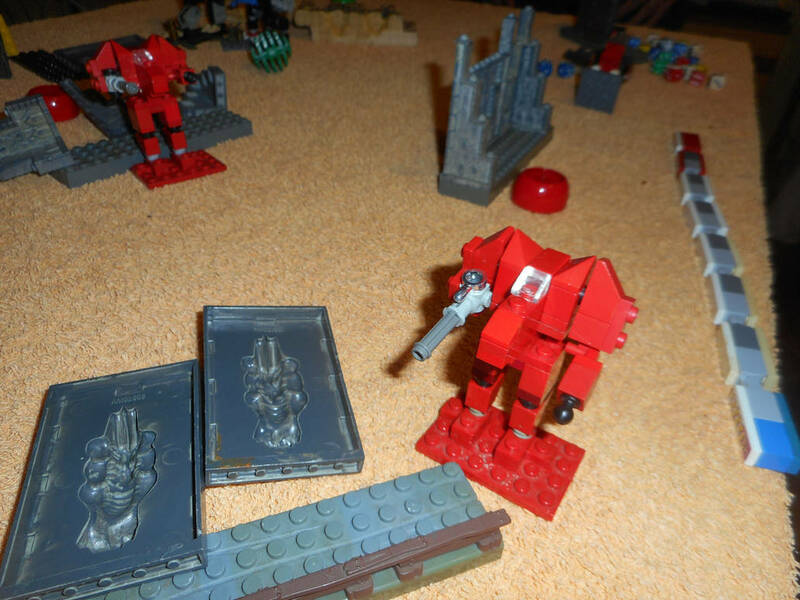 All Mechs had one one-shot rocket each. 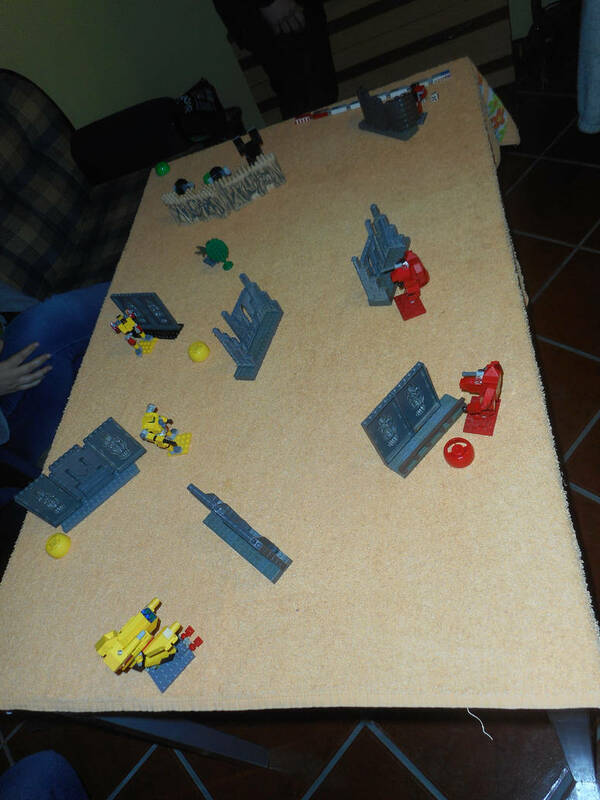 After bringing in our units, we placed them on the table. 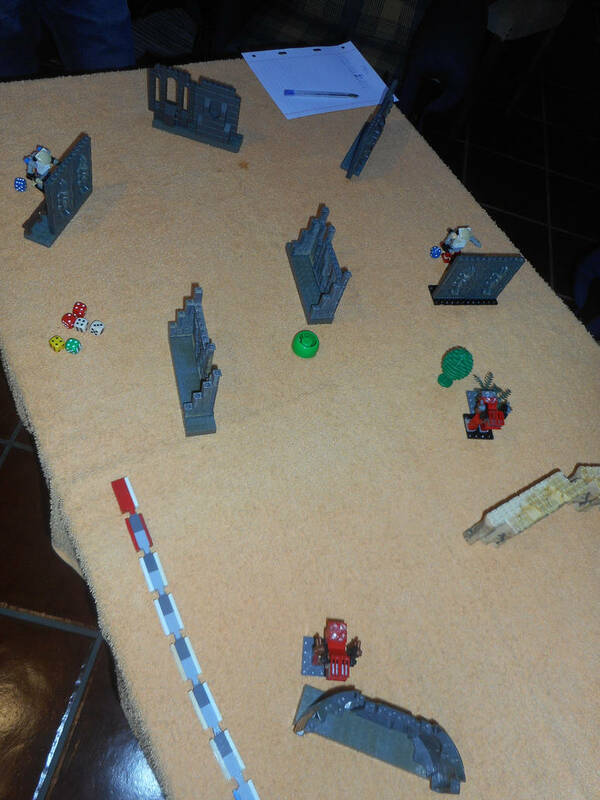 Only then did I noticed our teams were essentially equal, meaning we had to roll for initiative. We decided to roll for initiative and I got to go first. 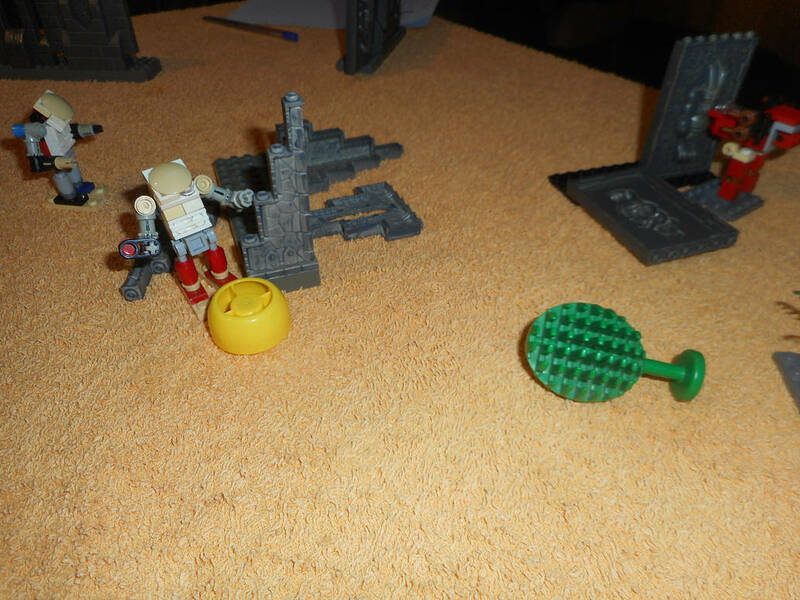 The Kuritas shot at the Marauder, which was then activating, bringing down part of the ruins. 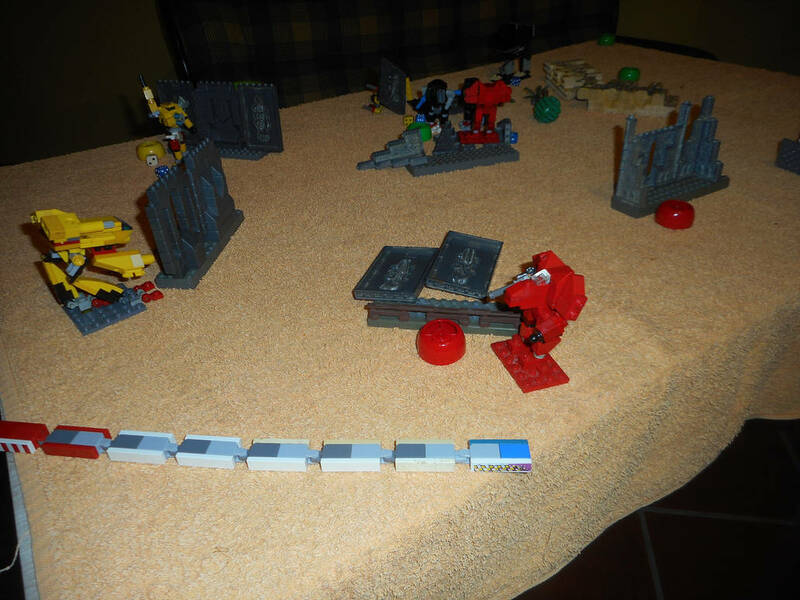 Meanwhile, the Kurita moved to try and control the center of the table. 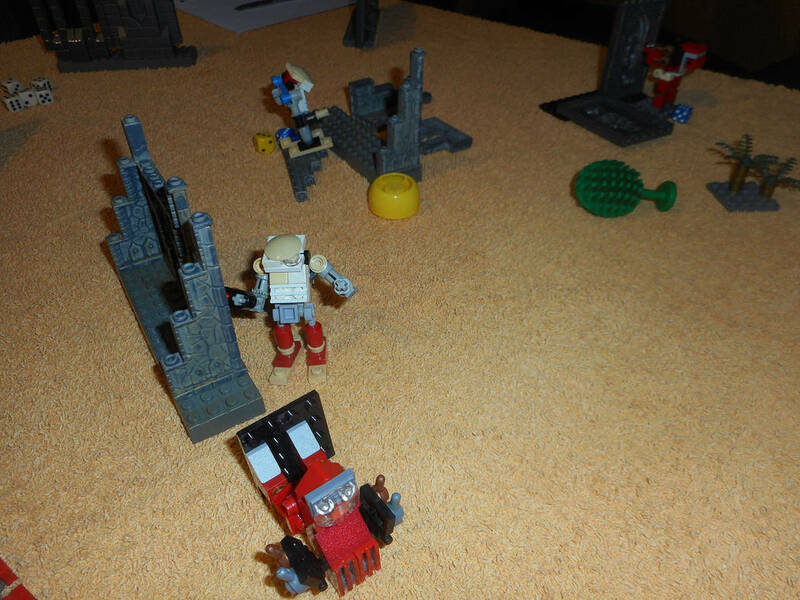 The yellow team attempted to spread fire all over the battle space, bring down part of the cliffs. On its turn, the Capellan also tried a few snapshots on the Jenner, bringing down part of the ancient castle. 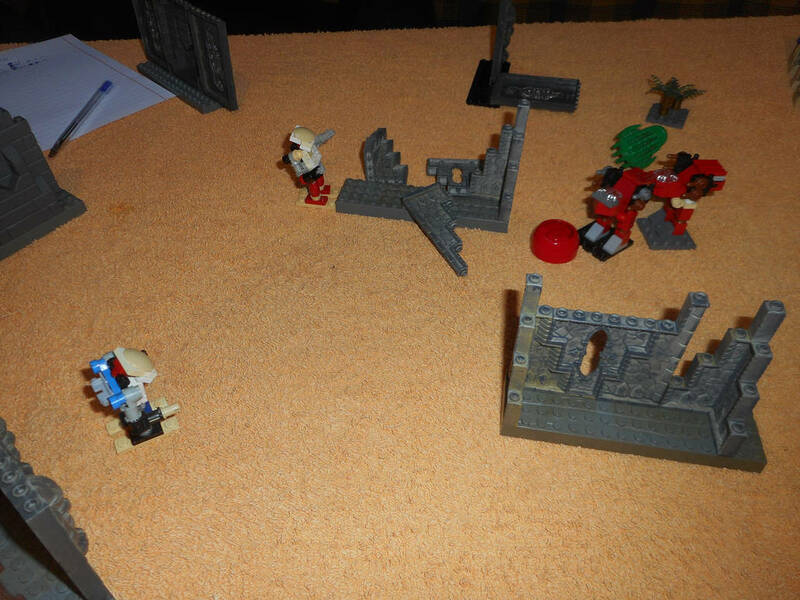 At the dawn of the second turn, the Jenner went down due to a strong hit in the back from one of the Vindicators. I should have probably tried to stay put with it, but I really wanted to focus my forces, as the Marauder seemed to be the greatest threat. 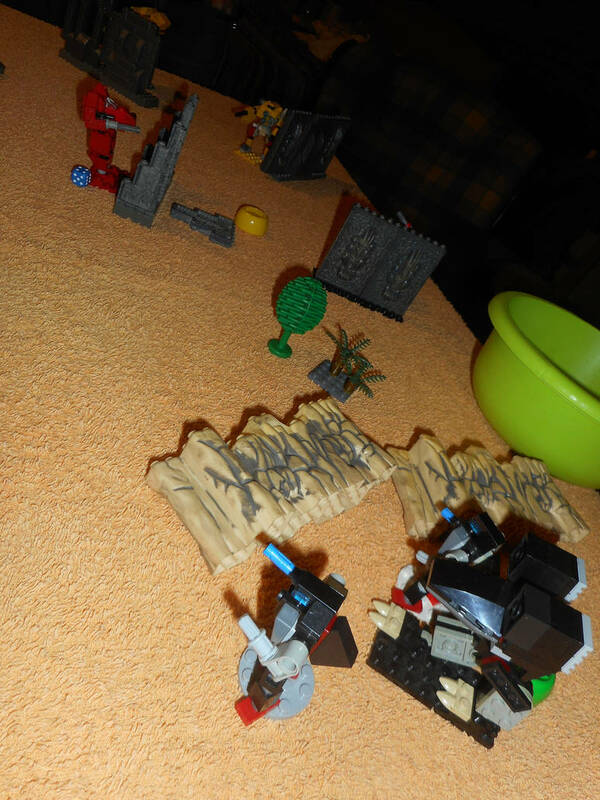 On the other hand, the black player kept put, which would prove to be an advantage. Third turn. My Dragons make a push for the second yellow station. 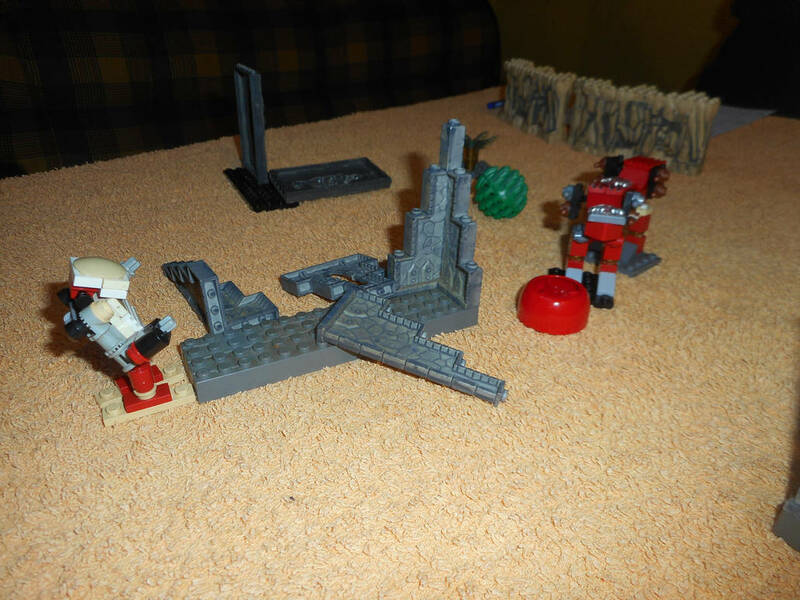 However, the Marauder forces one of them back and claims one of my stations. Meanwhile, the shots flying around bring down the rest of the cliffs, putting the black team in the open. 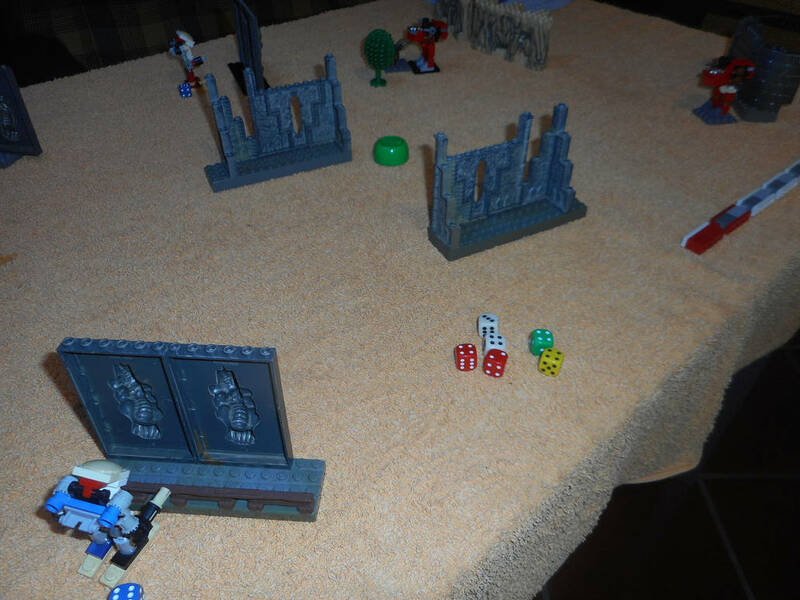 The response of the black team created this odd moment when a combination of spotting and bad defense rolls made the black player roll a total of 9 damage dice against an enemy in the open... and fail every single one. 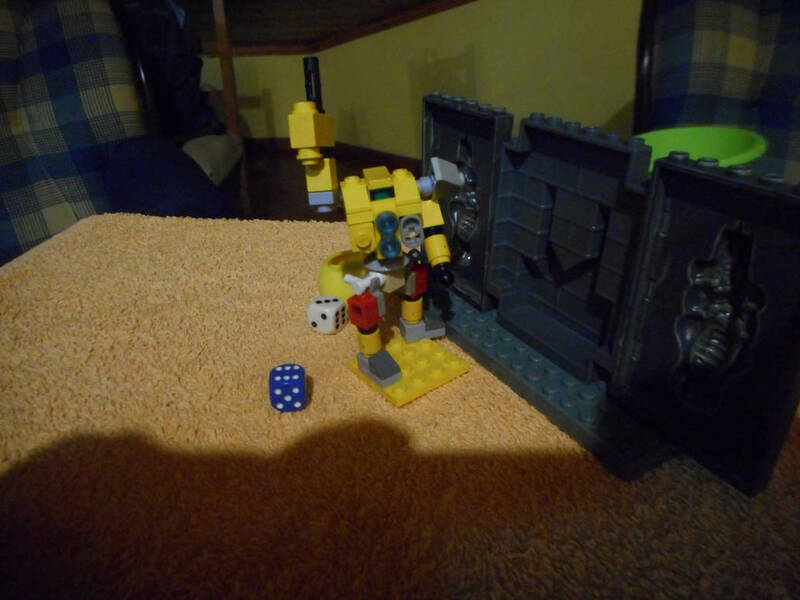 I decided to push against the Marauder while the yellow's Blackjack was threatened by the black team. My second Dragon double back to help its companion, while the concentrated firing of one-shot rockets by the black team finally claimed the Blackjack. With the Marauder backing off and the Blackjack down, I decided to then defend the station I had claimed before. The Capellan team, though, was now swarming the area and the plan proved problematic. 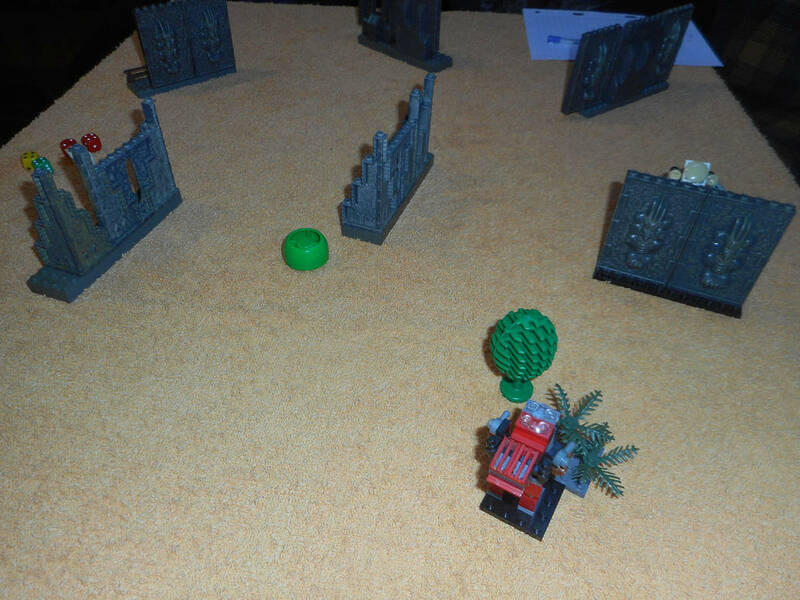 The Vindicators were essentially holding the line and going for melee attacks while the Catapult went back to dominate the area with the twin artillery missiles. The clock finally tickled down, and the Capellans found themselves with more active assets. 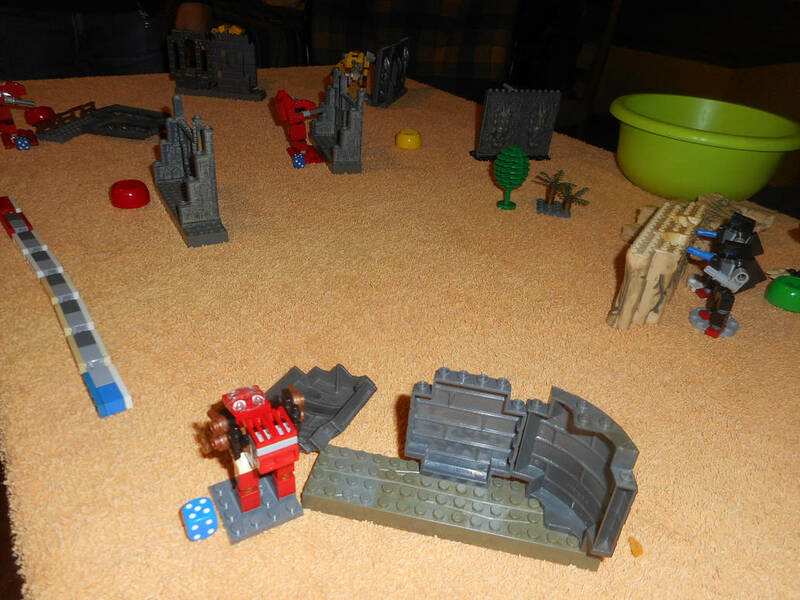 I was second, and the yellow player was now in full retreat. 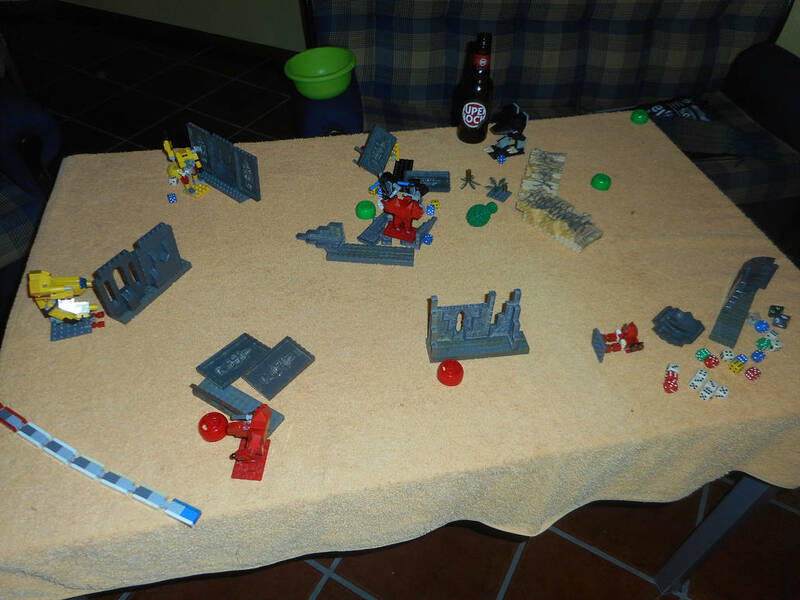 That was the table at the end of the game. It was a great, fun, engagement and my friends loved the game. Beautiful, man, love the pics! I forgot to bring over some stations we used colored smoothie caps. Those actually look fairly nifty and identifiable, way better than the deodorant cans I once used! VitorFaria wrote: Those actually look fairly nifty and identifiable, way better than the deodorant cans I once used! I agree, they worked really well. But I can see the need to use something else when nothing better is available. 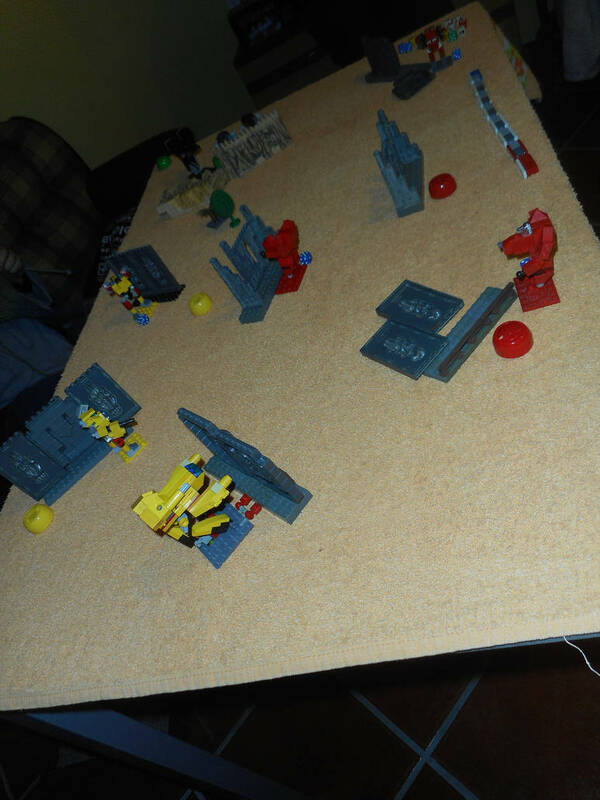 I actually used impromptu stations on my first games, made of bundles of leftover parts, but me and my players kept mistaking them for cover. Those early games were really silly.